Say ‘Jersey Shore’ and people instantly think of the long stretch of fine sandy beach fronting the Atlantic. They may also think of something else, such as the reality TV show but it would still be the picture of the beach that would come to mind. However, when people think about Cape May, the impression would be the same image but it is definitely even more scenic and compelling. This is anticipated since the city of Cape May happens to have one of the country’s best beaches. Aside from this, the city also boasts of sites that continue to captivate even the local residents. Three miles from the city center is Sunset Beach, one of the more popular of the beaches in Cape May’s vicinity. This beach, unlike the fine sand beaches of Jersey Shore, is made of quartz pebbles that may glisten when hit by sunlight. This is why residents usually call the pebbles Cape May diamonds. Sitting on these ‘diamonds’ while watching a golden sunset can be a unique and experience, a memory of great value. When the weather is very cooperative and the sun is at its best, visitors should venture from their Cape May bed and breakfast inn accommodations and roam around the city. While walking on the beach, drop by the wineries and have a taste of excellent products made by the Cape May Winery or by Turdo Vineyards and Winery. Aside from the famous beaches, there are also opportunities for whale-watching. These are offered by two whale-watching tours from the Cape May Whale Watcher and the Cape May Whale Watch and Research Center. Even in winter and on rainy days, Cape May offers fun and entertainment for visitors. Guest can head straight to the Washington Street Mall and go shopping for souvenirs. There are unique restaurants along the area too. Another option is to hit the museums and get a little education about the history and culture of this historic New Jersey city. The museums include Cape May Lighthouse, the Colonial House, and the Naval Air Station Wildwood Aviation Museum. The city’s top artworks are found at the Mid-Atlantic Center for the Arts. 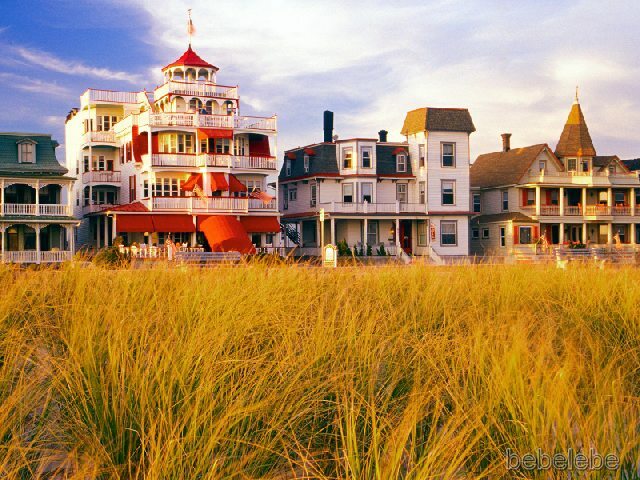 With Cape May as centerpiece, there is definitely more to Jersey Shore than beaches. Visitors who stay in the city for a few days will wish that they could spend a much longer vacation. A day or two is simply not enough if one wants to really enjoy the city.